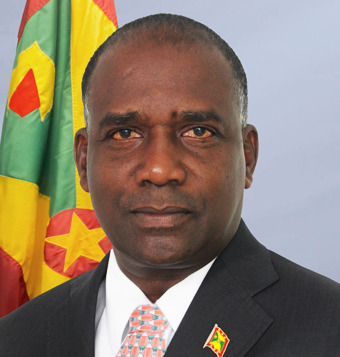 Oliver Joseph is a Grenadian politician and current Cabinet Minister. In 1982, after completing his academic studies, he entered the Grenada Public Service where he served in various policy and administrative positions which included career stints as Director of Trade in the Ministry of Trade and Export and Permanent Secretary in the Ministry of Foreign Affairs. In November 2009, following the Caricom Heads of Government decision to implement the Caribbean Small Market Economy (CSME), he was seconded as Coordinator to the Barbados based, Caribbean Centre for Development Administration (CARICAD) responsible for the regional implementation of the CSME. During his secondment, he conducted many regional training workshops and is well known for conducting research and production of a Trainer Manual for regional education officers. Following the NNP's election victory In February 2013, Joseph was appointed Minister of Economic Development, Trade, Planning, Cooperatives& International Business in the Keith Mitchell Administration. In the 1 July 2016 Cabinet reshuffle, Joseph was appointed Minister of Economic Development, Trade, Planning, and Labour. In the Cabinet resuffle of 1 September 2017, Joseph retained Labour and Cooperatives portfolios, however the portfolio of Economic Development will now come under the Ministry of Finance.